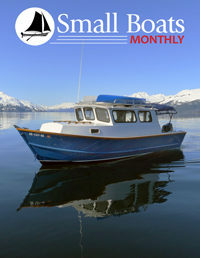 Small Boats Monthly Apps for iOS (iTunes) and Android (Google Play) are now available in the App Store and on Google Play! All back issues will also be available in the App. Your choice of these Apps is included in your subscription package and can be activated on up to five devices. Logging in to the app is easy, simply use the same subscription username and password you have for this site.